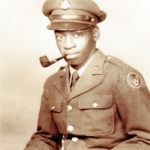 Richard enlisted in the Alabama National Guard at 15 years old, serving for 3 years. Upon graduating high school in 1959, he enlisted in the Navy, with hopes of one day becoming a helicopter pilot. 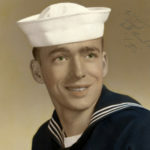 Already a Master Plumber, the 18-year-old was assigned as a Boiler Tender/Fireman aboard the USS Allagash, AO 97, home-ported in Newport, RI–where he met the woman who would become his wife of 52 years, Patricia A. Conway. He left the Navy and went to work for the Providence Gas Company. In the late 60’s, Richard enlisted in the Naval Reserve, then the RI National Guard. He had considered, again, going to Helicopter School, with the Vietnam War raging. In 1978, Richard finally satisfied his lifelong desire to fly by attending flight school at North Central Airport. He joined the 102nd Composite Squadron of the CAP, and by 1980 he was heavily involved in RI-EMA training, search and rescue missions and radio communications monitoring. He often served as Mission Commander on the Wing’s many Search and Rescue Missions in the 1980s and 90s – most notably the search for John F. Kennedy Jr.’s downed aircraft. 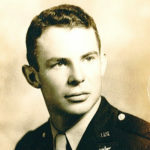 He became Squadron Commander, successfully completed CAP National Staff College, and was invited back to the College as an instructor. He eventually became RI Wing Chief of Staff. 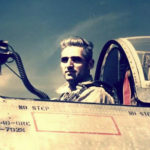 He was slated to become Wing Commander, but lung disease grounded him. In his years of service to CAP, he mentored hundreds of children, teaching them the wonders of flight and aerospace technology. His love of children was manifested in a most unusual avocation: he was a very successful clown! He was the founder of the Blackman Family Clowns who entertained at area schools and hospitals. He was known as “Grandpa Muggle” to the kids of the Cranston school system. Another of his passions was flying remote-controlled aircraft, and he volunteered at various schools giving demonstration flights. He was also the first male assistant Girl Scout leader in the United States.